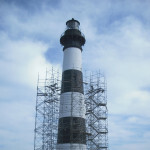 The National Park Service has announced that the Cape Hatteras Lighthouse and the Bodie Island Lighthouse will be open for climbing in 2015 from Friday, April 17 through Monday, October 14. 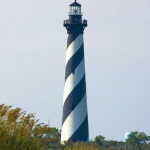 Climbing hours for the Cape Hatteras Lighthouse will be 9:00 a.m. to 4:30 p.m. daily in the Spring and Fall, and 9:00 a.m. to 5:30 p.m., May 22 through Labor Day, Monday, September 7. Ticket sales for the Cape Hatteras Lighthouse begin at 8:15 a.m. daily and close at 4:30 p.m. in the spring and fall, and at 5:30 p.m. May 22 through Labor Day. Tickets to climb are $8 for adults and $4 for senior citizens (62 or older), children 11 years of age and under, and those holding a National Parks and Federal Recreation Lands Access Pass. Tickets are available on a first come/first served basis and can only be purchased in-person at the site the day of the climb. There are no advance ticket sales. Before you go, understand that climbing the lighthouse can be strenuous. 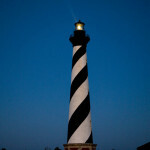 The Cape Hatteras Lighthouse climb is equivalent to climbing a 12-story building- and the view is spectacular. Children must be at least 42″ tall to climb and children under twelve must be escorted by a person who is at least 16 years old. 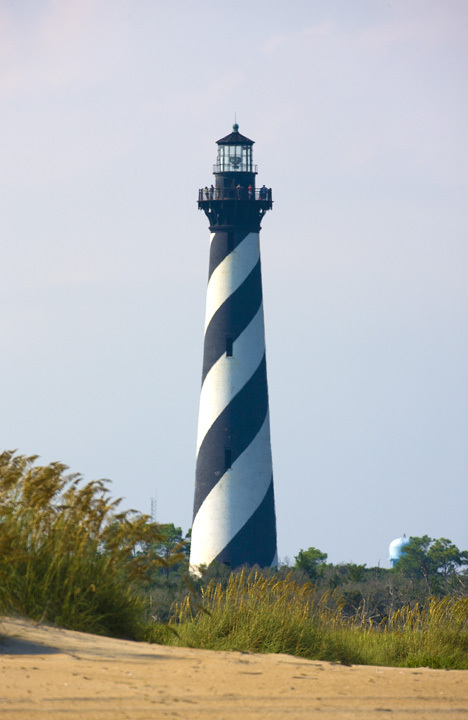 The Bodie Island Lighthouse, also part of the National Park and a great stop on the way to or from Hatteras Island, will be open as a self-guided experience this year to cut down on wait times that were often experienced for the 45 minute guided tours offered in years past. This change should allow more visitors to have an opportunity climb the lighthouse each day. Opening day climbs will be FREE! Residents and visitors are welcomed to tour and climb the lighthouses at no charge on, Friday April 17. Free tickets will be available on a first-come, first-served basis and can only be obtained in-person, that day, on-site. 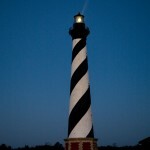 Climb the Cape Hatteras Lighthouse under a full moon! On Wednesday, October 8 join a limited number of guests on the lighthouse grounds as you hear tales of the keepers of old, climb the storied stairs, get close up looks of the working light in the lantern room and share the spectacular views. Two tours will be given on Wednesday, October 8- one at 7:00 and one at 8:00. Ticket sales will start on Monday, October 6 at the Cape Hatteras Lighthouse from 8:15 a.m. to 4:40 p.m and tickets must be purchased on site. Tickets are $8 per adult, and $4 for children (11 and under) and seniors (62 and older). Children are welcome on the climb and must be over 42 inches tall and able to climb the 257 steps on their own. 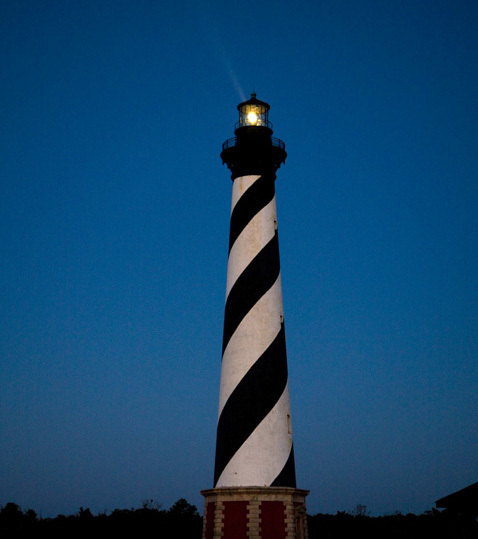 With the July date just announced, you can sign up for a once in a lifetime experience to climb the Cape Hatteras Lighthouse under a full moon. The night will be filled with stories of the keepers of old, close up looks of the working light in the lantern room and spectacular views. Watch the newly risen moon as it reflects off the Atlantic Ocean while you stand in the salt air on the balcony. Saturday, July 12 two tours will be given, one at 8:30 and one at 9:30. 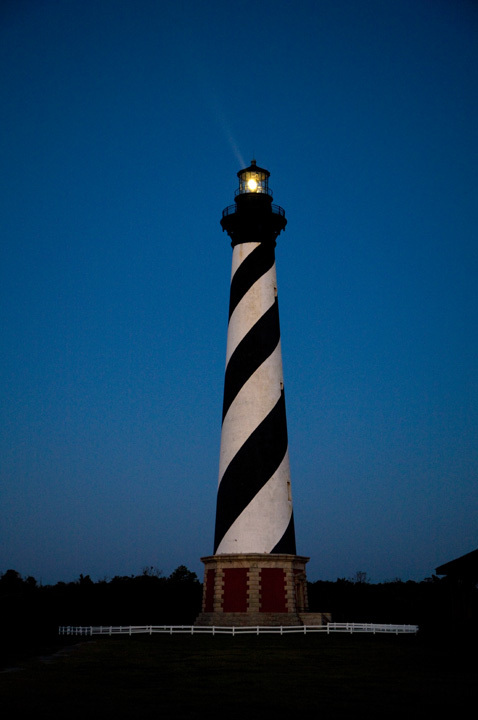 Ticket sales will start on Thursday, July 10, 2014 at the Cape Hatteras Lighthouse from 8:15 a.m. to 5:40 p.m and tickets must be purchased on site. 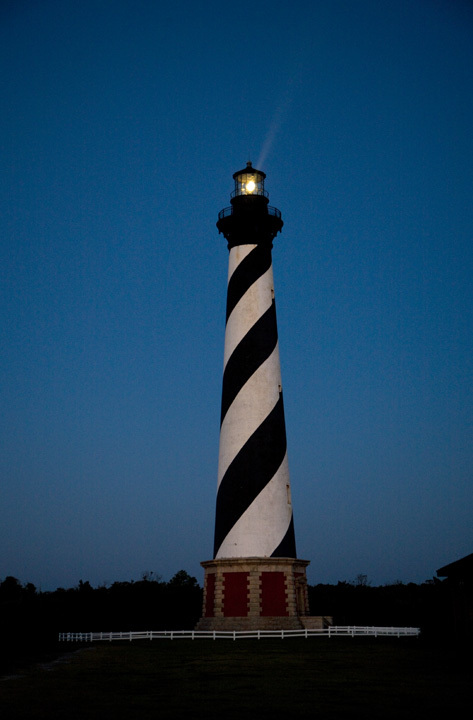 Call to mind the image of a lighthouse and chances are it’s the iconic candy-cane striped Cape Hatteras structure that you think of. It’s been called “America’s Lighthouse” and it’s one of our most-loved national landmarks. When the lighthouse was moved in 1999 it was carried to a new foundation, 2,900 feet behind its initial site, while the original stones stayed. Those original foundation stones were ceremoniously inscribed with the names of over 80 lighthouse keepers and are being threatened by the sea. The Cape Hatteras Genealogical and Preservation Society and other interested citizens reached an agreement with the National Park Service wherein the National Park Service will carefully move the stones, weighing over a ton a piece. With the moving scheduled to be completed by Memorial Day, the stones will be placed in a semicircle near where the lighthouse sits today and named “the Keepers of the Light Amphitheater”. The Bodie Island Lighthouse, located in the Cape Hatteras National Seashore just north of the Bonner Bridge, is getting a much needed and long awaited facelift. 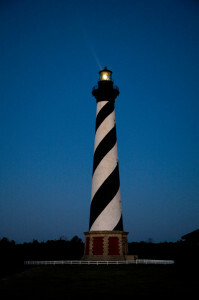 As a very special experience for the visiting public and local communities, the National Park Service will be offering Full Moon Tours of the Cape Hatteras Lighthouse the evening of September 4, 2009.